For Coriolanus Ralph Fiennes stages Shakespeare’s tragedy about a military leader cast out of his society upon a backdrop that contemporary audiences will not fail to recognise. With recession hitting economies hard, protests and riots, uprisings in the middle east and rebel forces battling dictators Fiennes was clearly inspired to offer an anachronistic take on the story. The film depicts a modern equivalent of ancient Rome, with recognisable conflict between the public and the powers that be. Centre stage is the violent rivalry between the Roman military leader Caius Martius Coriolanus (Fiennes) and Tullus Aufidius (Gerard Butler), the leader of the opposing Volscian army. In classic Shakespearian style we know one will end up dead by the hand of the other, but we wait to find out which one. Fiennes’s approach to the original Shakespeare text is nothing short of ambitious. While staying true to the original Shakespearian dialogue Fiennes presents the drama in a verite style comparable to recent combat dramas such as The Hurt Locker and Green Zone. This stylistic angle is due to Fiennes’s choice of cinematographer in Barry Ackroyd, who shot the aforementioned war films with directors Kathryn Bigelow and Paul Greengrass. Adding to the realist tone of the film is Fiennes’s choice of cast who consist of a number of familiar British faces including Gerard Butler, James Nesbit, Brian Cox and Vanessa Redgrave. With British cinema’s reputation as a consistent purveyor of gritty realism we are reminded of the intended immediacy of the piece. Use of location throughout the film is particularly interesting. Shooting in Serbia Fiennes creates a distinct contrast between grandiose government buildings and desolate spaces occupied by the ordinary people. This location is also key in depicting the crucial part of the story in which Coriolanus is cast out of Rome into the wilderness, when he is rejected by the Roman people. Fiennes also uses the city of Kotor in Montenegro to locate the Volscian army – these locations are suitably striking, yet understated enough to portray Fiennes’s vision of modern Rome. Importantly they enhance the possibilities of visual storytelling in a language heavy film, Barry Ackroyd deserves great credit here. Ultimately Fiennes’s makes a worthy attempt to bring Shakespeare’s tragedy to the 21st century, but the themes at the heart of Coriolanus do not feel precisely applicable at this moment in time. 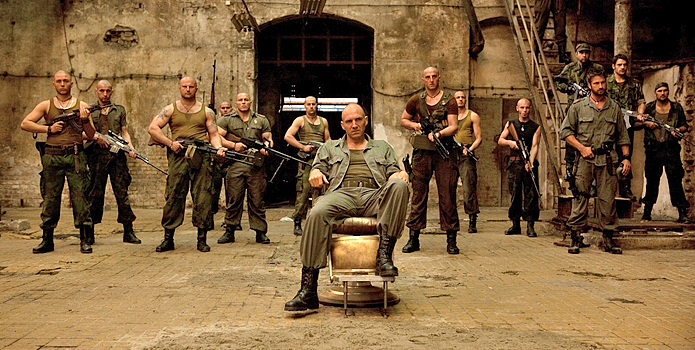 The rivalry between Coriolanus and Aufidius feels somewhat irrelevant upon a modern backdrop because the political conflicts of recent years have essentially been defined by the masses versus the authorities, rather than individual versus individual. Fiennes’s decision to play the entire film with the original Shakespearian dialogue also makes the film something of a challenging viewing experience, as it can feel long winded and lacking in rhythm. This leaves the film feeling like a worthy experiment and an ambitious debut, but rarely as entertaining or as immediate as it needs to be.